Sometimes movie trailers really do provide enough information to warrant skipping the actual movie, and beyond the heart-wrenching Paul Walker send off at the end of it, I’d say Furious 7 is one of those movies. Luckily, that means replacing the trailer footage with The Little Rascals makes it easier to imagine those adorable twerps in a feature length action movie. Time-sucking but entertaining YouTube channel CineFix has a series of Trailer Mixes where they edit footage from one obscure movie to fit the audio and editing style of the trailer for a popular, typically more-recent blockbuster. 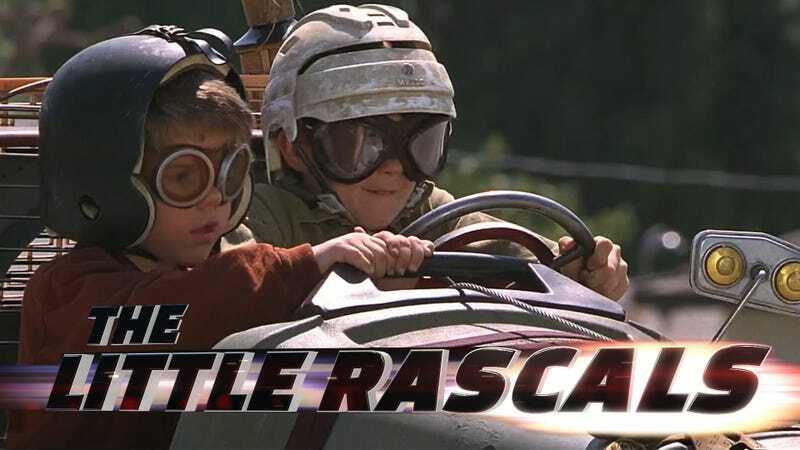 This time they did The Little Rascals cut to the Furious 7 trailer, and it’s fun. They also were kind enough to provide a side-by-side edit so you can see which Little Rascal is representing each larger, objectified criminal robber super spy driver. Gun to my head, I’m watching The Little Rascals. Would it play to younger audiences today? Maybe not. If you put those kids and their characters in a movie where they had to fight Jason Statham for killing one of their ‘family’, involving globetrotting extreme scenarios like driving a supercar through a skyscraper, it might just click with today’s youth. Judging from this trailer, I’m already sold.